A majority said ACA should be kept in place, including 48 percent who want Congress to work to improve it. Eight percent who say it should be kept as is. Fewer say Congress should repeal the law or replace it with a Republican-sponsored alternative (12 percent) or repeal it and not replace it (19 percent). Views about next steps are deeply divided by political party identification. Most Democrats preferring to keep the law in place and a majority of Republicans wanting to see it repealed. 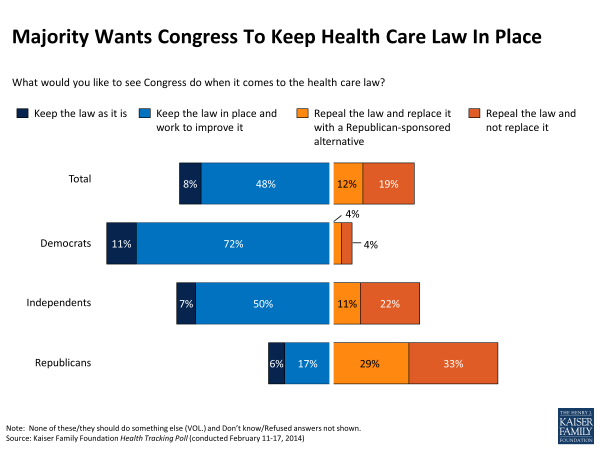 Among independents, more than half want Congress to keep the law as is or work to improve it, while a third prefer to see it repealed. Many veterans get a letter from a doctor and go the a VA regional office (VARO) and use a Veteran Service officer (VSO) from the AMVETS or DAV to file the claim. Chances are the initial claim will be rejected. In fact even after a second level review by the Board of Veterans Appeals, only bout 30 per cent of claims are approved. 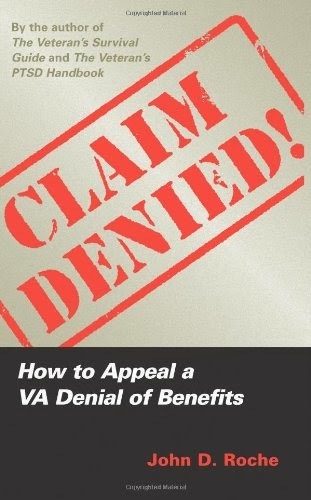 About 15 per cent of VA claims are fraudulent. But what about the other 50 per cent that are rejected? The VARO would probably say that most rejected but legitimate claims are not fully developed. The VARO wants fully developed claims (FDC). You can increase your chances by filing the claim pro se. This means advocating on your own behalf before a court or board, rather than being represented by a lawyer or a VSO. One big advantage of filing pro se is that the VA has to give your claim extra considerations because you did not have professional representation. You do need some tools to file a claim. If you don't have these tools, you should probably work the claim through one of the service organizations or through the VA's Veteran Center. 1. The Internet. You can use the public library's if you don't have this at home. 2. A PC with any current operating system. You will need this to type letters, fill out the online VA claims (VONAPP) and respond to VA requests. 3. MFC (multi-function) laser printer. Useful for printing, faxing and scanning. A color inkjet printer has limited use and prints far more slowly. 4. Software: You need a word processor like MS Word or Libre office aka Apache Open Office that is free. Both Libre and Open Office have both Windows and Linux versions. You can upgrade Libre office with the Language Tool plug-in that provides grammar checking. There is also a free medical dictionary for Libre/Open Office. 5. A file cabinet with both incoming and outgoing logs. All incoming and outgoing documents should be numbered and filed in chronological order. Use to the log to quickly locate documents you need to enhance or reference in your claim. A program such as Windows PDF Nitro that can edit DBQs and create portable document files (PDF). The PDF is a government standard and that is why most government forms are in PDF format. PDF Nitro will allow you to edit existing PDFs or save a DBQ is PDF format. You cannot otherwise edit a PDF file such a Disability Benefit Questionnaire (DBQ). However, without a program like Adobe Acrobat, not the reader, or PDF Nitro, you will not be able to edit existing PDFs or save them. You can also edit PDF files in Linux with graphics programs, but it is time consuming. Before you file the claim, you should read two books. 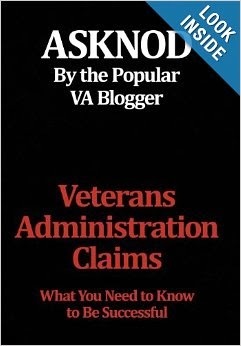 The ASKNOD VA Claims by Gordon Graham and Claims Denied by John Roche. The latter will help you file the claim and the Asknod book will be very useful if you have to file an appeal. Note (1): Evaluate compensable complications of diabetes separately unless they are part of the criteria used to support a 100 percent evaluation. Noncompensable complications are considered part of the diabetic process under diagnostic code 7913. Note (2): When diabetes mellitus has been conclusively diagnosed, do not request a glucose tolerance test solely for rating purposes. Pay close attention to the notes, too. Show the DC examples to your physician. Ask him or her what they think you should be rated for. With the Affordable Care Act, you should be able to get medial insurance and help from private practice physicians. In general, they will be the strongest advocates for you if you have a clear cut case. If a private practice doctor won't help you, fire him or her and find one who will. You have the option of submitting a letter signed by your physician or asking the physicians to complete a DBQ. Rightardia strongly recommends the DBQ because it will provide more information to the VA than is often possible in a letter. A well written DBQ may also preclude a compensation and pension (C&P) exam.You can find the DBQs at http://benefits.va.gov/COMPENSATION/dbq_ListByDBQFormName.asp. It is important that the physician indicate in the DBQ that he/she reviewed the claimant's service medical records (SMR). The physician can check a check box in some DBQs to show he performed a records review. The DBQ also needs to have a nexus statement added that connects the medical conditions to the claimant's time in service. Many vets make the mistake of submitting multiple claims that are unrelated to each with the typical vet submitting 20 different claims, hoping some will stick. It is far better to push the claims that have the most impact. For example, you might get 10 per cent for service-connected prostate condition and 50 per cent for sleep apnea. Clearly the latter condition is more important. Use the 38 CFR to help identify and prioritize medical conditions. Are there any relationships between diabetes mellitus and other medical conditions you have? Are there secondary conditions such as neropathy, renal dysfunction and retinapathy? Diabetes can cause cardiac conditions such as hypertension, too. Try to relate your medical conditions as primary and secondary conditions in your claim. Have your spouse review the initial claim. This can be important if your spouse or other family member is a stronger writer. Make the claims process a family affair. A VA disability award and retroactive pay can greatly improve the economics in your family. At this point you are ready to file pro se. You have read the two books, you have found DCs that correspond to you medical complaints and you have DBQs or letters from you physicians on your medical conditions. You have connected your primary and secondary medical conditions which are often referred to as residual conditions. You have all the tools you need for further research and for the preparation of additional documentation. You can file VA Form 21-526 (Veteran's Application for Compensation or Pension) in the VARO's Veterans Center or file a VONAPP online. See https://vabenefits.vba.va.gov/vonapp/main.asp.